A lost art has been brought back by popular demand! 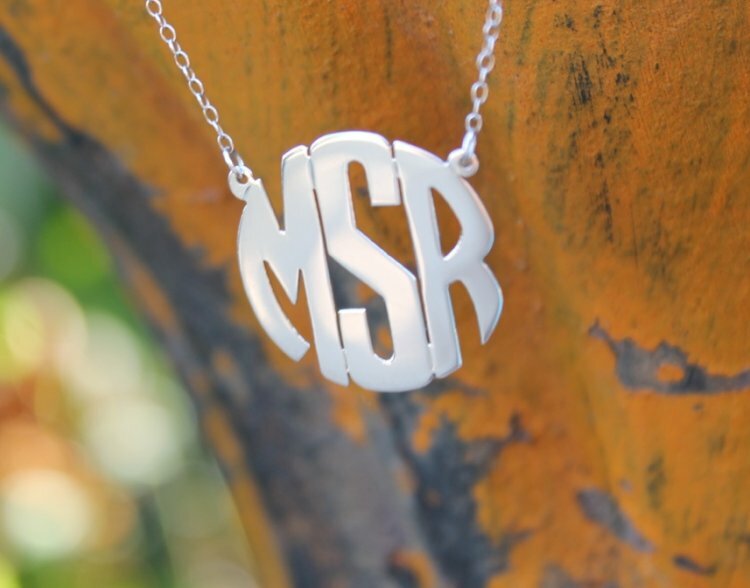 The three-letter monogrammed Block Style Pendant is available on a split chain, as shown in either the 16- or 18-inch length. 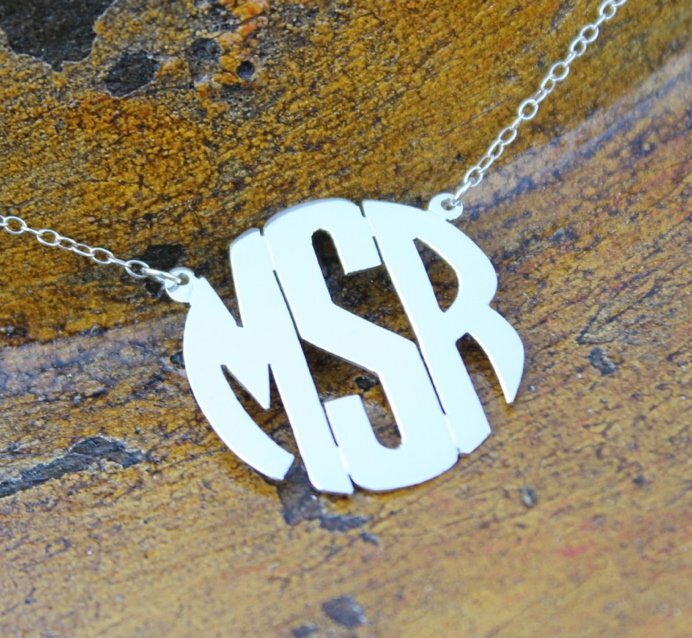 It will be custom made for you in your choice of sterling silver, rose gold or gold plated. Now offered in 5 sizes ranging from 5/8 to 2". 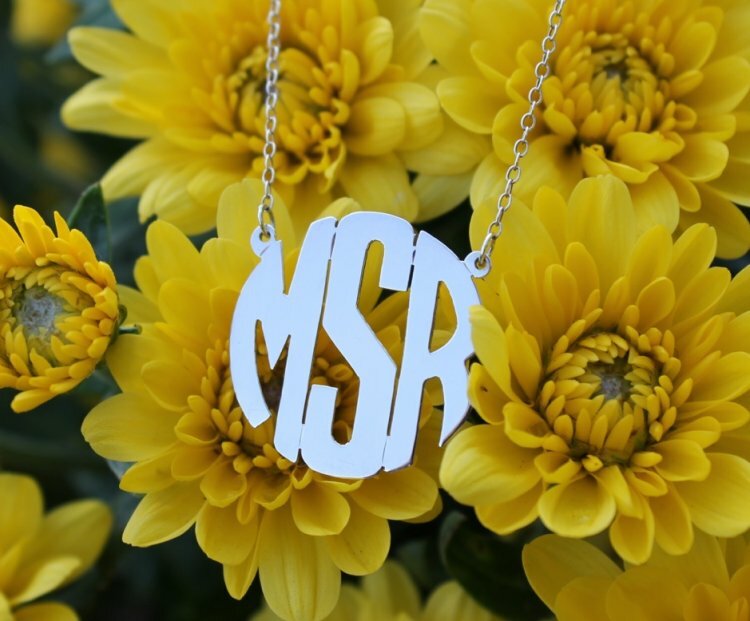 One is sure to be perfect for that certain someone, whether she is a new graduate or a new bride. 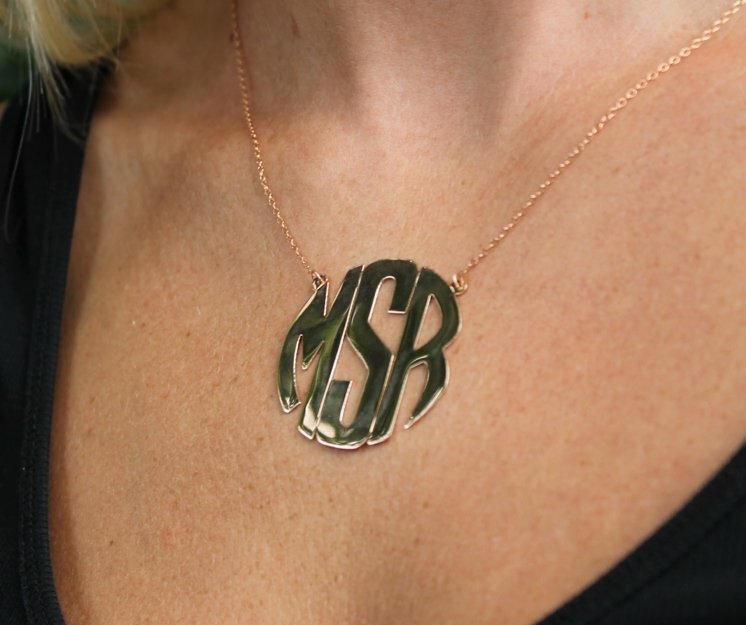 Add your monogram in the spaces. Last name larger in the middle. Price: $72.00 In stock! - Browse this brandOur products are custom made to your specifications. This product ships up to 3 weeks after your order is placed. 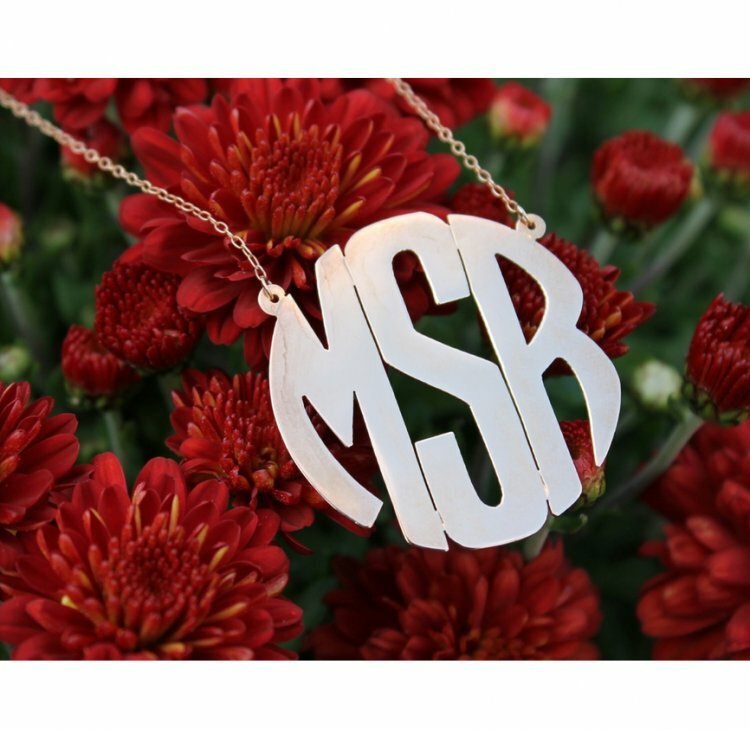 Choose either gold filled, sterling silver or rose gold.